THE RETURN: Singer Toniks, real name Allan Ampeire, has been musically silent for close to three years. And just as we were beginning to write him off, he returns with a new hit song, Romance. You have been off the scene for a while. What happened? Whenever someone takes time off the music scene, people think it is about lack of music. Fans have been flooding my inbox, asking me to bounce back but I decided to take my time because it is good for creativity. When you take time off, you come back fresh. When did you decide to go on break? It was after the song Baby Language which I did with Don MC. However, just because I was away does not mean I was not doing music. I was always preparing myself for a comeback and I was infact doing vocal training. Talking of Don MC, did you plan to go to exile with him? I do not know about Don MC and this question should be directed to him since we were not working under the same management. We only collaborated on a song. You bounced back signed under Gifted Music Group (GMG), did they pick you from exile? I have been friends with Paul Owori, the CEO of GMG and when he contacted me on managing my music, I did not hesitate. In 2016, Abryanz announced you as one of the artistes signed under him. Why would a fashion store manage a musician? I have never been managed by Abryanz Collections. We only had an assignment together and that was performing at his Abryanz Style and Fashion Awards. The definition of artiste manager in Uganda is vague. Who is an artiste manager to you? An artiste is not supposed to have only one manager, but rather a management team, including a road manager, who is always with the artiste, the strategic manager who stays in office and runs the paper work. Does GMG offer you a road and strategic manager? Yes. GMG is a record label which has many people who push my career and I see things working out already in the few months we have been working together. 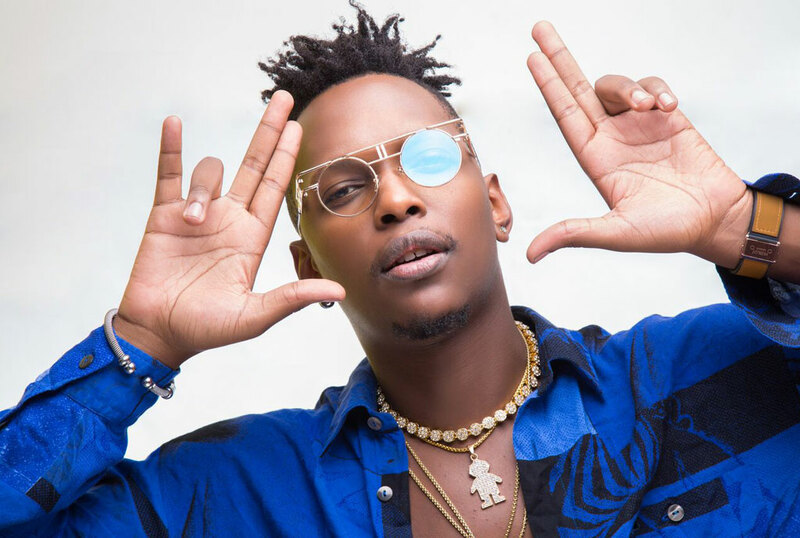 Latinum was one of the fast-rising artistes but when he joined GMG, he claims they failed him musically. Aren’t you scared of what is coming your way? I do not know much about Latinum and I am not Latinum. But you should know that I have more experience in the music industry. Maybe Latinum was just unlucky under GMG. What do you mean unlucky? When a company signs an artiste, it is never a guarantee that they will become stars under that particular management. When someone forces talent, it is not a guarantee that they will succed. You had a music partner in the beginning, why didn’t you pick her as well and give us the Toniks we knew about 10 years ago? I wanted to keep this from the media, but we talked about this and she told me music was not her thing and she has never understood why she got into studio that time, nevermind that the song was a hit. Are we going to see Toniks bounce back and top charts like back in the day? When I did my first song, I could not answer that question and I topped charts. You have asked it now and I still think I do not have an answer for it, but I will ask you to sit back and wait for what comes your way. Why do you think Uganda has a few Rn’B artistes? Rn’B music is not a genre someone will just wake up and do. It requires good vocals and continuous vocal training, which I doubt many Ugandan artistes have time for. In the end, we see many kidandali artistes come up. What is your take on the Ugandan music industry over the years? The industry has improved over the years, with new players joining the industry. The only set back that many will fail to accept is the fact that the industry lost Mozwey Radio. He had written songs for many artistes, me inclusive. Did you get time to interact with Radio before he passed on? We always met and talked. He gave me advice on how to carry on with my music. He told me about Angel Music, which I was meant to be a part of. Which new artiste do you think is the future of Ugandan music? There are quite a number of artistes doing good music but I think Fik Fameica is making a statement.